Everything is easily accessible from a single interface. One-click diagnostics will scan critical CPU, memory, video hardware and more to identify impending problems to help you prevent costly repairs. So while it's easy-to-use, TechTool Pro provides comprehensive testing that also delivers for the Mac professional. You think your Mac is already fast? Think again...TechTool Pro 6 is here to make it even faster. Diagnostics and Repair Start with Check Computer to perform a complete diagnostics check of your Mac and hard drives. A single click of your mouse runs a SMART Check of your hard drive to detect impending drive failure, a RAM test, analysis of disk directories and more. If problems are found, advice is provided on how to proceed to repair the problem. Use Check Computer regularly as a part of your preventive maintenance program. 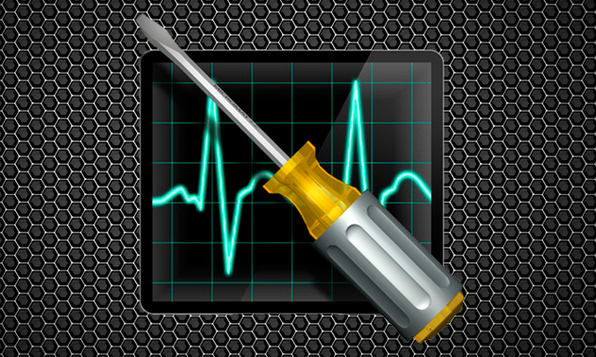 Volume Rebuild TechTool Pro will test and rebuild damaged directories on corrupted hard drives, and optimize the data directories when they are repaired. Volume Rebuild will display a comparison chart before directory data is replaced. Use Volume Rebuild to keep your drives operating at their peak performance. eDrive Using TechTool Pro, you can easily create an eDrive, a bootable Mac OS X partition on the active system volume, which can be used as an emergency startup partition or to perform regular maintenance on your Mac. The eDrive is based on your specific Macs system plus includes TechTool Pro's tools for Mac repair. Using the eDrive, there's no need to reformat or to boot from a DVD or secondary hard drive. Volume Cloning NEW! Volume Cloning creates exact duplicates of your volumes for trouble-free archiving to backup your data and applications. Cloning volumes can also be helpful if you are upgrading from a smaller size hard drive to a larger drive. You have the options of creating a duplicate of an entire disk, file syncing by adding only the changed files to a clone, or cloning to numerous disc image formats. Data Recovery TechTool Pro helps you recover your data from corrupted drives or volumes that don't mount on the desktop to save the data to another location. Use the Trash History feature to track the location of deleted files and increase the chance of their recovery in the case of an accidental deletion. And more. Tired of wasting valuable time wrestling with the Finder on your Mac? Stop wasting time, and access your files faster than ever with Path Finder. 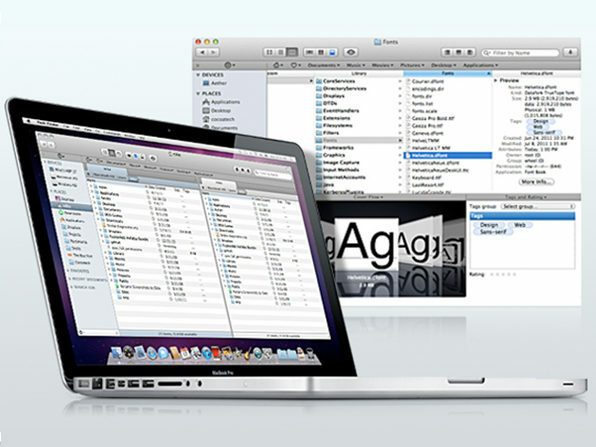 Take command of how your Mac manages files with a multitude of features and increase your productivity. TextExpander saves your fingers and your keyboard, expanding custom keyboard shortcuts into frequently-used text and pictures. Save time and effort with this TextExpander app – whether it's a simple email signature or several paragraphs of a standard response, you'll love not having to type the same thing over and over. That's why it was named the Winner of the 2010 Macworld Editors' Choice Award. Click HERE to view numerous video tutorials on the app. How many computers can you activate software with? - Any computer, if you're the only user of those computers. Yeah, that's right, you can put your Mac on lockdown so when you're not around to protect it MacHider will make sure all of your documents and files are safe and sound. Its main algorithm makes sure all your personal data will be hidden in password-protected folders and stored in a safe place. Never worry intruders accessing your private files ever again. FInally, you'll be able to sleep at night ;). 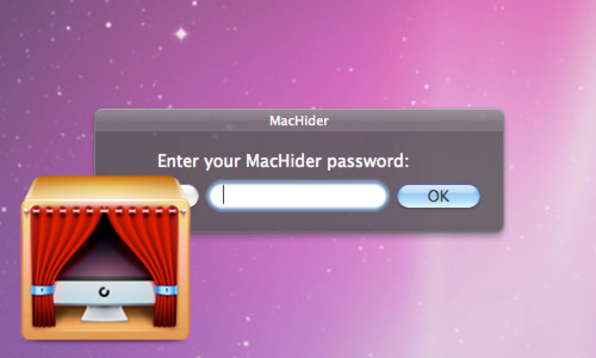 MacHider not only hides your folders and protects them with a password of your choice, but also remembers where they are so you're able to easily find your data on your Mac. Keeping your data safe couldn't be easier! Increase Your Privacy If you want to protect particular files and folders, then MacHider is exactly what you are looking for. You can hide those files by using the contextual menu in Finder, adding the file from MacHider's menu or dragging and dropping them into MacHider. An unlimited number of files can be protected at once. No File Modification Effective protection techniques allow you to hide files and folders from other users without changing them. You won't lose any files during the hiding process. In case you did something wrong with the location of previously hidden files, you can use the 'Restore Files' feature and get your files back untouched. Stay Super Organized Your private files and folders can be organized into groups, so you may easily and quickly locate them whenever you need. Simply organize them by category to keep your private files structured. Every folder has a personalized icon to help you distinguish your categories. 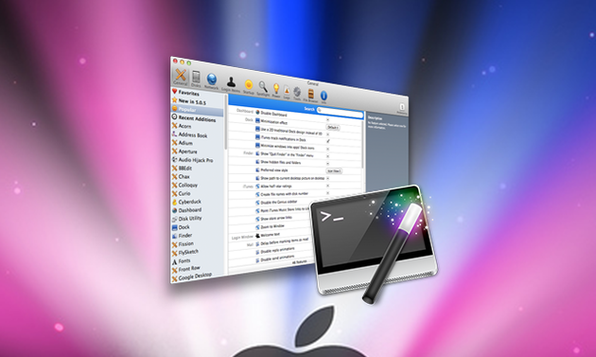 MacHider uses Leopard's quick view technology, which allows you to preview the files you hid without opening them. Password Protection The Require Password Protection lets you protect MacHider with your own password. If you select this option in the Preferences Pane, then every time MacHider is launched it will require you to type the password. This is a second level of protection to make your confidential information safer than ever. Even if your Mac gets to the wrong hands you may not worry about your data, as it will be hidden and protected by MacHider. And much more. Ever wished you could stream content from your iPhone right to your Mac? Now you can...thanks to AirServer. It allows you to receive AirPlay feeds, similar to an Apple TV, so you can stream content or Mirror your display from your iOS devices or Mountain Lion. AirServer now delivers full 1080p HD mirroring and is faster and more powerful than ever. Video On-Demand AirServer now supports 3rd party media players, such as the BBC iPlayer, 4oD and Netflix. This new breakthrough means you can now Mirror content from popular media apps to your HDTV or Mac via AirServer. Local restrictions imposed by media players still apply. Full HD Support AirServer has been enhanced for iOS 6 and now lets you stream content or Mirror your display in full 1080p HD. This stunning enhancement is twice as crisp as before and makes all the difference when viewing content on your iMac or HDTV via AirServer. Facebook Socialite Heaven Now that Facebook has been fully integrated into iOS 6 you’ll be able to share, post and stay up-to-date in a myriad of new ways. Combined with the new update of AirServer this means you’ll be able to stream all your social interactions to the big screen to share with others around you. Safari Big Screen Browsing iOS 6 with AirServer brings even better web browsing to your iPhone, iPad, and iPod touch. With iCloud Tabs keeping track of which pages you have open, you can start browsing on one device and pick up right where you left off on another device. Safari now saves web pages in your Readling List so you can catch up even when you’re offline. 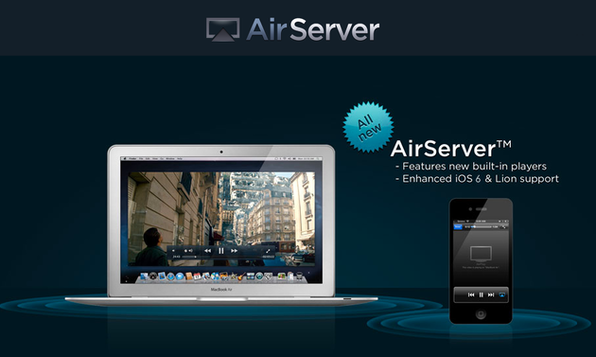 With AirServer you can view the web full-screen on your Mac, HDTV or projector. Zooming-in to read illegible text becomes a thing of the past thanks to AirServer. Maps Designed for Jack Sparrow Apple has designed Maps from the ground up and is purely vector based, so graphics and text are incredibly detailed - even in full-zoom. You’ll also get visual and spoken turn-by-turn navigation and real-time traffic updates. With AirServer you’ll be able to stream the new Maps application from your iOS device onto your Mac or HDTV. Great when you need to debate the route to the Fountain of Youth. iPad, iPhone (3GS or later) or iPod touch (second generation or later) running the latest iOS software. Freedom to Play CameraBag 2 lets you see all the possibilities at once: old-school instant film or modern high-contrast portrait, subtle color adjustment or complete artistic overhaul. Choose from side-by-side comparisons with the fullscreen Quicklooks, or get large, instant previews on mouseover; the emphasis is on creative exploration. Once you've chosen a filter, its components are all in the tray to tweak and adjust non-destructively with large, interactive sliders. The Remix slider in particular brings back the "happy accidents" of analog film, smoothly transitioning between infinite natural variations for each style. Advanced Control The new CameraBag features a full suite of photographic tools, from simple exposure and cropping to advanced vignetting, color correction, and curves. The built-in styles also now have full control over their strength and variation. Since every adjustment appears as a tile in the tray, it's easy to see everything affecting the image at once, as well as rearrange tiles or edit amounts without compromising image quality. Adjustments and styles can be freely layered to create new looks, which can be saved right into the interface as new filters. 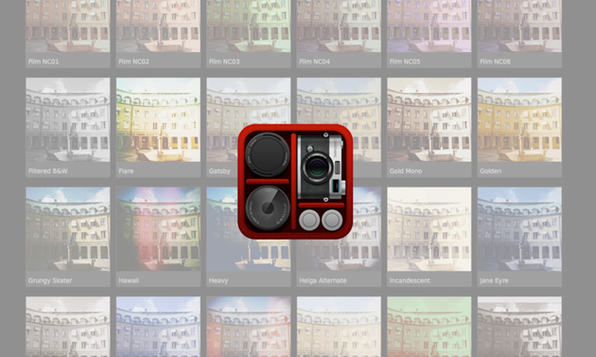 The Analog Engine At CameraBag 2's core is the brand new Analog Engine: high-fidelity, 32 bits-per-channel, non-destructive, multi-threaded image processing. In other words, it's fast and smooth. Scared of the terminal or can't be bothered to remember those commands to customize your system the way you want? MacPilot 5 is your digital saviour. Now you can easily enable and disable hidden features in Mac OS X, optimize and repair your system, and perform numerous routine maintenance operations with the click of a button! "Good value for the number of cool things you get tinker around with and improve your system! " - Alex R. "MacPilot keeps getting better with each release, and it seems to be growing exponentially faster than some of the other similar products. Keep up the great work!" - Richard K. "This utility - and what else does one need, anymore - just keeps getting better and better. I've stopped using everything else I once bought." - Mike B. Increase Performance & Perform Maintenance Pro user or not, you can now increase computer performance with only a few clicks of the mouse. Optimize your network for broadband connectivity, completely customize Apple File Sharing, perform essential maintenance without having to remember mind boggling acronyms, and much more. However, those are just a few of the many reasons why MacPilot 5 is your choice over Cocktail, TinkerTool and Onyx! Unlock Hidden Features in Mac OS X Disable the translucent menubar in Leopard, disable menu items for security, disable icon caches, set history limits, erase recently used files, prevent your dock from being modified, turn off all system animations, increase the speed at which windows resize, change which format screenshots are taken in, set a default name and location for screenshots, disable a secondary processor, disable the startup chime, and even change the login window picture! Features, stability and interface say it all - but why don't you be the judge? This masterful software debugs any internet service problems and optimizes your performance. It features 23 integrated tools and is designed to help you QUICKLY locate where the problem is and gather data which can be used to solve the problem either directly or through your Internet Service Provider. Yes!!! Finally you have an awesome solution for whenever anything goes wrong on your Mac. 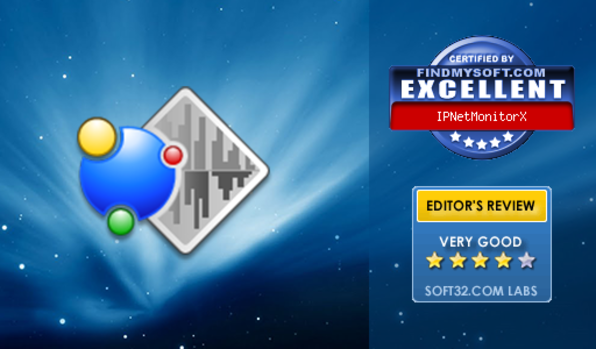 IPNetMonitorX combines an intuitive Macintosh user interface with deep Mac OS X knowledge to provide essential problem solving details from a single convenient application. If you've ever struggled with why some Internet feature isn't working, or just want to explore and understand better, IPNetMonitorX is here to help. The built-in description for each tool clarifies underlying network concepts as it guides you to answer real world questions about how your internet is working. "Best utility of it's kind for OS X" - Jim C. "Best network tool out there" - Sam S. "Many of same functions of Network Utility, but easier to use" - Jody R.
What’s a bundle? It’s a time-limited opportunity to buy a collection of apps at up to 95% off! StackSocial bundles are exclusively constructed and are made for anyone looking to discover the best apps around the globe. Can I download all of the products in my bundle? Yup, all of the products in our bundle are downloadable right in your account. No shipping address is needed. What’s the catch? There’s no catch! You’ll get the same versions of the apps as if you paid full price for them and you’ll also receive the same support, updates, and upgrade options as well. How does it work? We work closely with our developer connections to mix and match the best apps for a bundle so we’re able to sell thousands within a two-week time frame. We leverage our relationships with tech blogs to expand our reach to millions of people worldwide which makes it attractive for developers of all kinds to work with us. What languages do the apps in the bundle support? Dropzone 2: English AirServer: English, French, German, Polish and Spanish CameraBag 2: English MacPilot 5: English TextExpander 4: English, French, German, Italian, Japanese, & Spanish MacHider: English IPNetMonitorX: English TechTool Pro 6: English, Japanese, Italian, French, & German Path Finder 6: English, German, Spanish, French, Finnish, Italian, Japanese, Korean, Dutch, Russian, Swedish, Portuguese, Norweigan and Chinese If I buy the bundle today, can I download my apps later after I get my new Mac? Yes, as long as it’s within 60 days of your purchase. You’ll be able to access all of your license codes, download links, and installation instructions right in your account. Do the licenses work on all my Macs? Please note: all licenses are for ONE user only but some licenses are valid for use on numerous Macs. Dropzone 2: Numerous Macs for personal use AirServer: 5 Macs CameraBag 2: 3 Macs MacPilot 5: 1 Mac TextExpander 4: Numerous Macs for personal use MacHider: 1 Mac IPNetMonitorX: 1 Mac TechTool Pro 6: 1 Mac Path Finder 6: 3 Macs Are the apps Mountain Lion Compatible? Yes, and if any minor upgrades occur they will be free. Where can I retrieve my purchase information? You’ll be emailed a confirmation receipt that will contain everything you need to know to download and activate your apps and you’ll also be able to access all your purchase information in your account under ‘My Purchases’. Did my purchase go through? If your purchase was complete, you should 1) receive a confirmation message in your web browser, 2) be able to access all your product information in your account under ‘My Purchases’, 3) receive a confirmation email. The license code I received isn’t working, what should I do? Please carefully read the installation instructions for each of your products to make sure you’re not missing something. Some applications require you to enter in your name and/or email address exactly as you provided those details to us. If your license details are still not working, please contact the developer directly of the app in question for the fastest response. I mistyped my name or email address so how can I update my license details? Please contact the developer directly of the app in question for the fastest response. We’re unable to manually alter licenses once they have been granted so you must contact the developer in order to get the issue resolved. Please note that this may take several days to get fixed because it can be relatively laborious. Developer/Company Support Details: Dropzone 2: support(at)aptonic.com Airserver: http://www.airserverapp.com/en/Support/ContactUs CameraBag 2: http://nevercenter.com/camerabag/desktop/bugs/ MacPilot 5: http://www.koingosw.com/support/createticket.php TextExpander 4: support(at)smilesoftware.com MacHider: support(at)macpaw.com IPNetMonitorX: info(at)sustworks.com TechTool Pro 6: help(at)micromat.com Path Finder 6: help(at)cocoatech.com I was charged multiple times, what should I do? Contact us immediately with your full name, your account email address, and the dates the charges were made and we’ll be sure to take care of the situation.